Samsung Galaxy S4: Coming March 14th? Various reports have concluded March 14th could be the big day for the Samsung Galaxy S4. Ever since Samsung’s recent announcement that it will not release the Samsung Galaxy S4 at this year’s Mobile World Congress there had been much speculation surrounding the release date of the new handset. While an April release of the Galaxy S4 was rumored earlier this year, reports surfaced a couple weeks ago saying that Samsung would release the device in an event scheduled for March 15. But now it seems that the South Korean tech giant will officially take the wraps off its next-generation flagship Galaxy S device a day earlier, March 14. On Monday, a tweet from Eldar Murtazin, founder of the Russian telecom website Mobile-review, said that there would be “big announcement” on March 14 that may impact Taiwanese smartphone-maker HTC to miss sales estimates on its HTC One, which is expected to be unveiled at the company’s Feb. 19 event. “Save the date for a big announcement – March 14 :) And keep silence ;) HTC will miss HTC One sales again :( Like it was in 2012,” Murtazin tweeted. 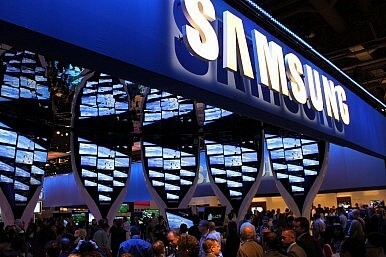 Although, Murtazin did not mention Samsung or the upcoming Galaxy S4 in his tweet, technology news website SamMobile, known for Samsung-related leaks, followed with a report saying that Murtazin referred to nothing but the highly-awaited release of the Galaxy S4 on March 14 at an event in the New York City. “Eldar didn’t say about which device it was, but according to the latest rumors this has to be the biggest rumored Android device the Galaxy S IV… This simply means Samsung will announce the Galaxy S IV about 2 weeks after the Mobile World Congress 2013 in Barcelona,” said the report. After Murtazin’s indication and SamMobile’s follow-up, another report joined the bandwagon validating the March 14 release date for Galaxy S4. “We are also hearing that the event will be in the US, though it’s unclear whether carrier availability will be announced at that time,” said the report. According to The Verge, Samsung Galaxy S4’s design had been kept as a “tightly-guarded secret.” However, the sources revealed that Samsung would focus more on features compared to raw specifications. The report said that features like the eye-tracking Smart Stay were a big part of the Galaxy S3’s success. With that in mind, more of the same could be expected in terms of the Galaxy S4 next month. When it comes to the design of the Galaxy S4, the report suggested that the real design of the Galaxy Note 8.0, which is expected to debut during the Mobile World Congress next week, could foreshadow that of the Galaxy S4. As per the rumors, the Samsung Galaxy S4 is likely to have Android 4.2.2 Jelly Bean as the operating system. The device is likely to be powered by the Exynos 5 Octa CPU. Other expected features of the handset include Mali-T658 (8-Core) GPU, 4.99-inch SuperAMOLED Full HD Resolution Display with 1,920 x 1,080 pixels (445ppi), 2GB RAM and a 13-megapixel rear-facing camera, capable of shooting 1080p Full HD Videos at 30FPS and 2-megapixel front-facing camera capable of shooting 720p HD Videos. Kukil Bora is a technology reporter for the International Business Times, where this report first appeared.